We would like to offer our sincere thanks to the solicitor firms across east Kent who kindly donated their time and expertise to write wills for free during February, in return for a donation to Pilgrims. 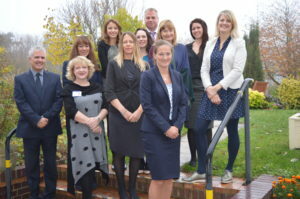 Throughout February solicitor firms from across east Kent kindly donated their time and expertise to write Wills completely free of charge, in return for a donation to the Hospice. We would like to offer our most heartfelt thanks to all the solicitors who gave up their time to write Wills for our supporters. The money donated will directly support Pilgrims to help people facing a terminal diagnosis, and their families, to live well in every moment. We are hoping the scheme will have raise over £20,000 for Pilgrims enough to fund over five months of nursing care to our patients.